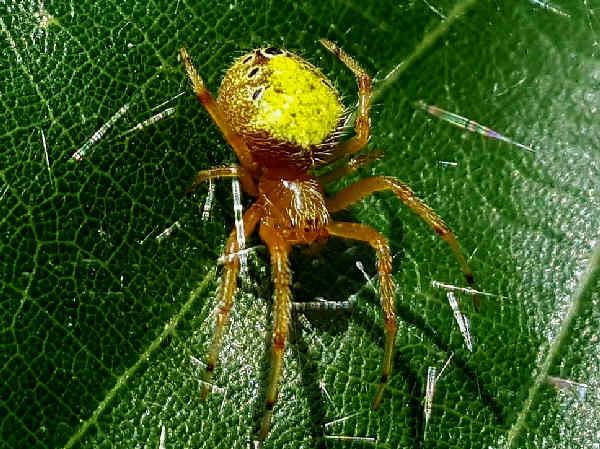 Spider pictures covers the orb weaving spiders (Araneidae). 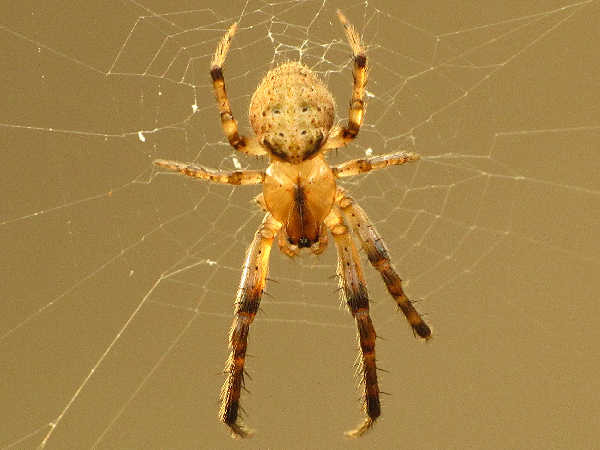 It’s a spider family familiar to many as the ones that build round flat webs come in all shapes and sizes. 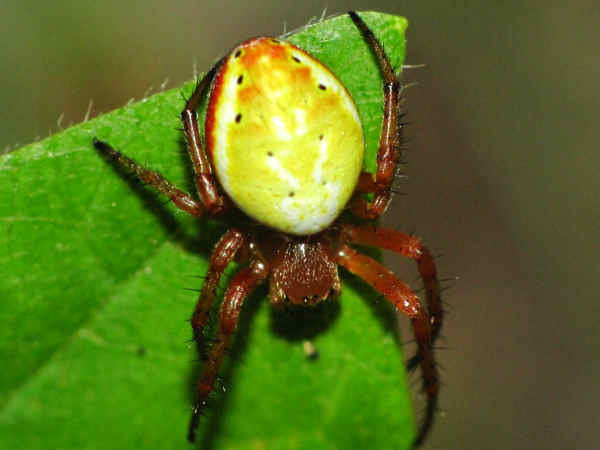 The most recent (2017) World Spider Catalog lists approximately one hundred and seventy five different species divided into thirty one genera. Ten of the genera have only one species attached to them. 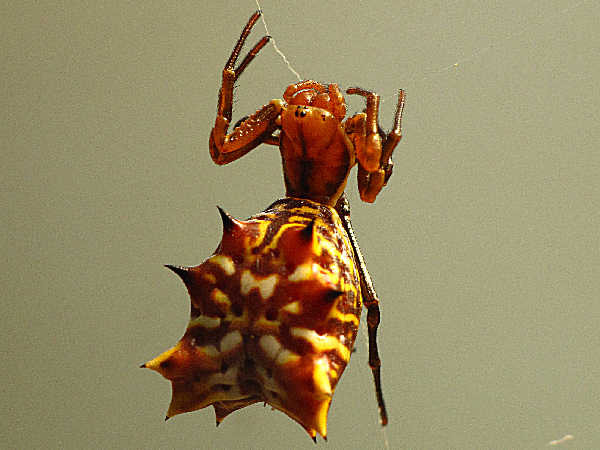 One of them, Spiny-backed Orbweavers (Gasteracantha), is pictured at the top of the page. They are especially common in the Southeast, along with a California population. The picture shows a species with a yellow body. Others have white bodies with red spikes and other variations. Verrucosa arenata is another of the one species orb weavers. They are very small in size and found in most areas of the Eastern United States. With approximately fifty species, Araenus rank as the largest genus of orb weaving spiders in terms of number of species. Please press the button to see more spider pictures and learn about the members of the Araneus genus. 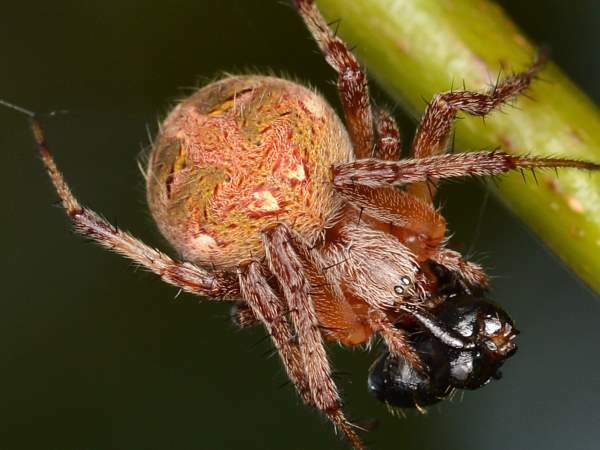 Like all spiders, the orb weavers bite. Fortunately none of them is considered a spider of medical importance. Their bites might be annoying, but with the exception of individuals sensitive to bites, they are harmless. In fact, they are beneficial insects that help keep the local insect population down. 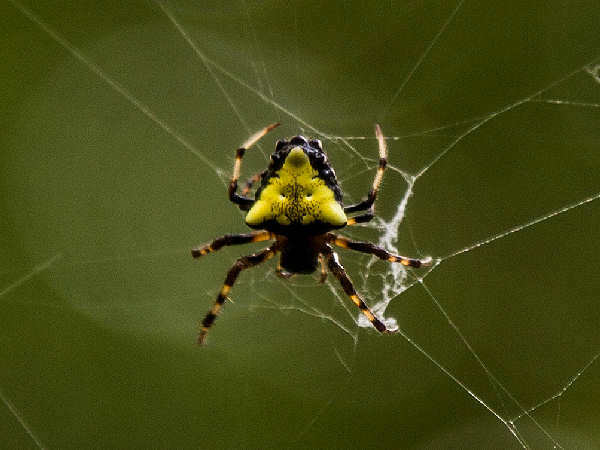 The group of spiders called Writing spiders (Arigope) get their name based on the web building habits. The middle of the web is filled with “Z” markings making it appear they are writing on their webs. 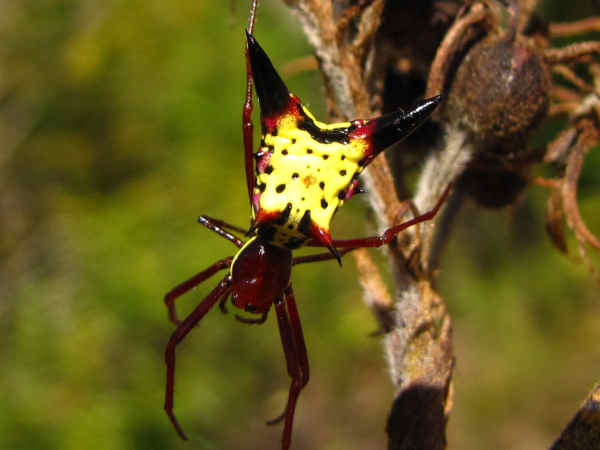 Along with their webs, their large, colorful bodies make them easy to identify. 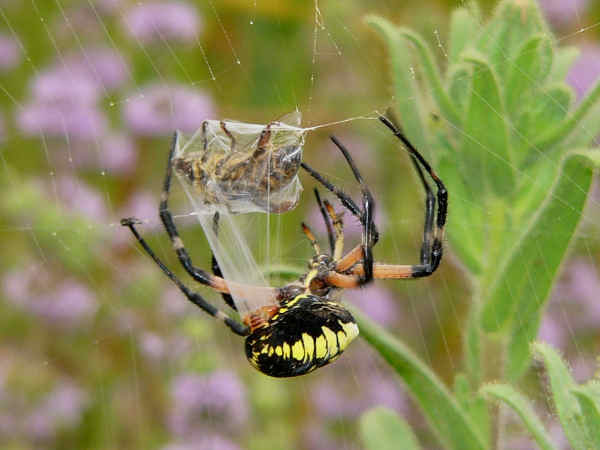 The Black-and-Yellow Argiope (Argiope aurantia)in the picture is common in thirty five states. Banded Argiopes (Argiope trifasciata) are even more common. With the exception of a few Southeast states, they are found across the United States and Canada. Both of these species are known as quintessential garden spiders. 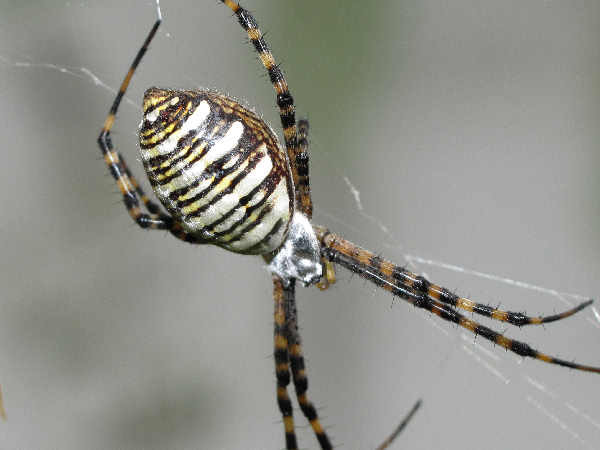 The Silver Argiope (Argiope florida) is a southern species with a presence primarily in Florida, Texas and California. The final member of the genus, Argiope blanda, looks very similar to the Silver Argiope and is only found in South Texas. 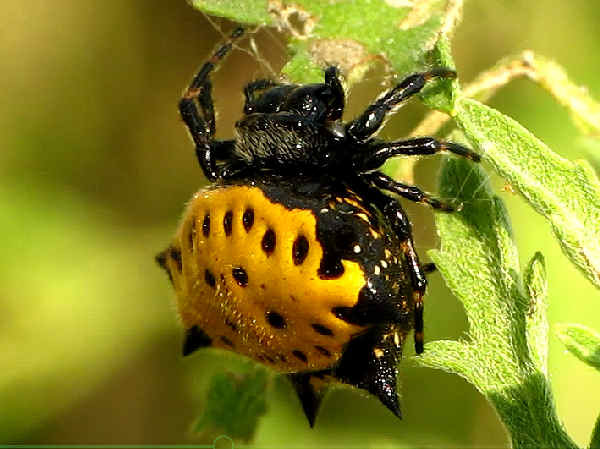 It is very easy to confuse the Spotted Orb Weavers (Neoscona) with the Araneus species. One or two physical differences such as a ridge down the center of the head is what differentiated the. Seven different species inhabit the United States. Neoscona arabesca in the first picture is the most common. They have a variety of body colors depending on location. Here’s a Western Spotted Orbweaver. They can be found in the Western United States, all the way to Texas. Orb weaving spiders in the Micrathena genus are fairly common in the United States, east of the Rocky Mountains. Most of them are a black and white color. Here’s a Texas specimen that adds some more color to the mix. Species in The Tropical Orbweaver (Eriophora ravilla) takes so many different looks that a dozen spider pictures might not help with identification of any particular specimen. Some specimens have a heart shaped, all brown body. This particular specimen has the yellow patch on the abdomen with dots around the patch. They are found in the subtropical areas of the Southeast. Look for them year round in Texas and Florida. 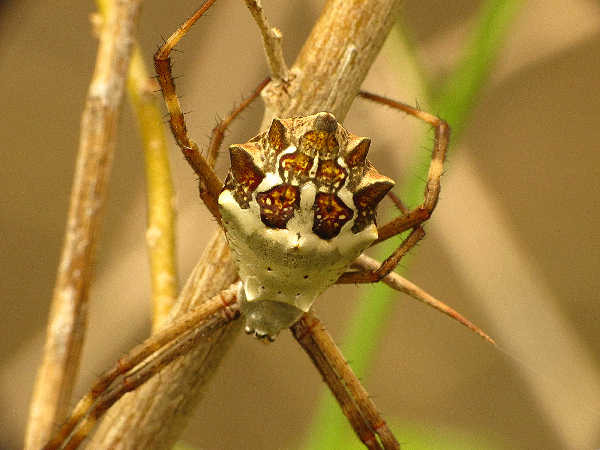 While most people associate orb weavers with round bodies, the Arrowshped Micrathena represents on of a handful of orb weavers with pointed bodies. There are four species. Three of them are very common in the East. One species has a California and Arizona population. 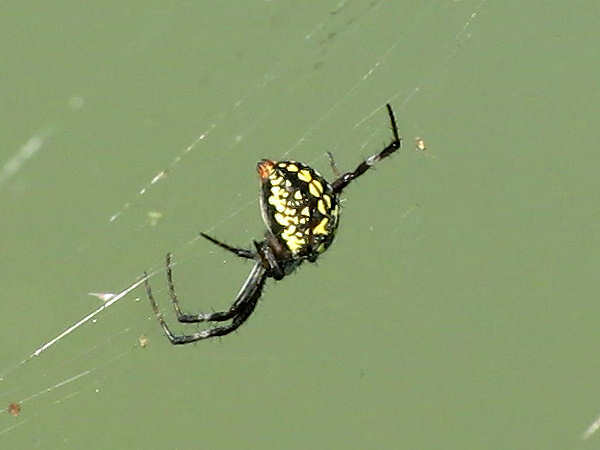 The Six-spotted Orbweaver is fairly small and colorful, with the six black abdominal spots providing the best identification clue.